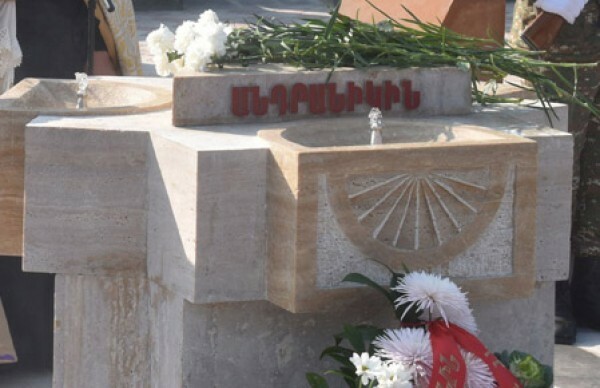 The members of the RPA Vedi regional organization and the Vedi youth organization paid tribute to the memory of the heroes, fallen during the April Four Day War in 2016 and laid flowers to the monument to Andranik Zohrabyan, the hero who gave his life for the liberation of the Homeland. At the Church of the Holy Mother of God in Vedi, Priest Hovakim Harutyunyan held the Liturgy. The whole process of the ceremony was attended by parents and relatives of Andranik Zohrabyan, who was killed by the enemy’s bullet in April of 2016. The event was attended by Varuzhan Barseghyan, Chairman of the Council of Vedi Regional Organization, heads of Vedi primary organizations, as well as representatives of the military commissariat and Yerkrapah Volunteer Union.